The Bone Bridge is a hearing aid system well suited to children with Microtia-Atresia who have a conductive hearing loss but with normal or near normal inner ear hearing. It can restore excellent quality hearing in some cases where an ordinary hearing aid or other corrective surgery is not suitable. It has two parts; internal and external. The internal part, also known as a “receiver stimulator” is inserted during a short operation. It is placed under the skin and attached to the bone just behind where the ear would normally be positioned. It houses a magnet, which allows the external part to be held in place. The external part, also known as a “processor,” looks like a large button. It picks up sound signals and transmits these across the skin to the internal device, which converts these into sound vibrations, detected by the inner ear. Once in place, the internal part of the BoneBridge is expected to last indefinitely. The external part is worn during the day, and is removed at night and for swimming and bathing. Like other types of hearing aids, the external part of the BoneBridge is powered by batteries. These usually last 3-5 days, and the batteries are supplied by your audiologist. The Bone Bridge is available free for children up to 18 years of age (and up to 21 years of age for those who remain in full time education) who are assessed by a specialist ENT surgeon and audiologist and who meet eligbility criteria. The external device costs $7,500 (in 2014), and after 18 years of age the child or family must cover the costs of any replacements and also batteries. Your child’s BoneBridge must be insured against loss, theft or breakage. In general, the BoneBridge is used for children with microtia/atresia, who are not able to use other types of hearing device, and are not suitable for ear canal reconstructive surgery. 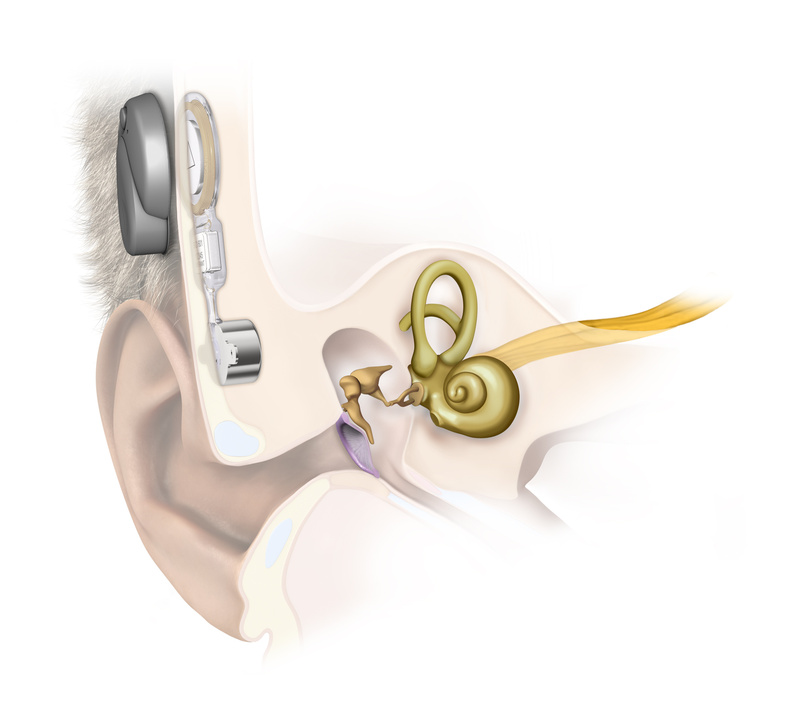 A hearing assessment is made by an audiologist to determine whether the inner ear works sufficiently well to detect the sound vibrations made by the BoneBridge. I would perform an examination and will request a CT scan of the ears to ensure that there is sufficient room to fit the internal part of the device. Additional information may be required from other health and education professionals involved in your child’s care. Insertion of the internal part of the BoneBridge is performed during a 90 minute general anaesthetic (asleep). There is mild discomfort afterwards for a week. Sports and physical activities should be avoided for a month afterwards. A week off school is required. While the device is intended to function well for many years, in a small percentage, the device may need to be replaced. There are also small risks of infection around the internal device, which may have to be removed if an infection occurs. There are also small risks associated with the surgery including a very small risk of damage to the sigmoid sinus (a large vein within the bone) or to the lining around the brain. The BoneBridge has limited compatibility with MRI scanning (It is compatibile with the weaker magnet 1.5 T scanners, but not the stronger 3 T scanners). It may sometimes need to be removed if an MRI scan is required in the future. The Bone Bridge may be used two weeks after the surgery to insert the internal part. An audiologist will program the external device to make the most of the sounds your child will be able to hear. The external device has an adjustable magnet to ensure it stays on securely. In some circumstances, a specially designed bandana or head-band can be used for extra security for some sports. Generally, head protection (headgear) is recommended for those considering contact sports. Water sports can begin again (without the external processor on) two weeks after the surgery. Some sunhats may need modification to enable use of the BoneBridge and a hat at the same time.